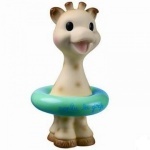 Vulli is the manufacturer of Sophie la Girafe. 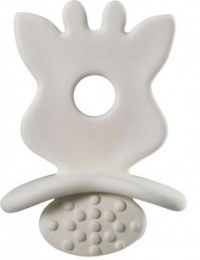 Born in France in 1961, Sophie quickly became a “must have” in baby’s essentials. 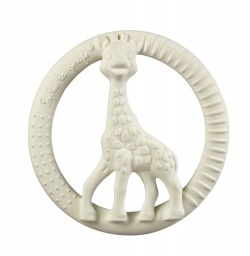 Designed to stimulate the senses and soothe teething gums, mothers recognise right away the benefits of this little giraffe for their child. 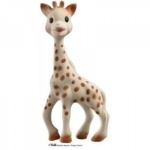 Sophie the Giraffe has been a favourite teething toy in France for almost 50 years. Since her creation in 1961, Sophie the Giraffe has wowed over 20 million babies (and parents!) with her natural beauty and charm. 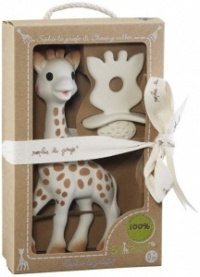 These days in France 9 out of 10 newborn babies are given their own Sophie La Girafe. 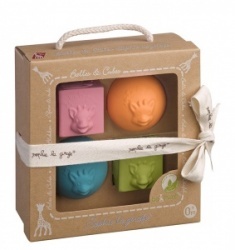 Amber Pumpkin stocks a range of Sophie teethers and gifts - wonderfully packaged and presented these items make perfect gifts.